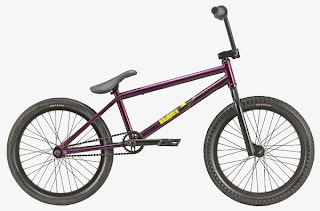 Pijin BMX: New FBM completes. Removeable brake mounts, "Signature" tyres, Pivotal seating setups, etc. - these are just some of the reasons that completes are so awesome these days, and they all happen to be on the new FBM Marauder V2. According to their site it won't be out for a while, but damn, that's a sweet looking setup!